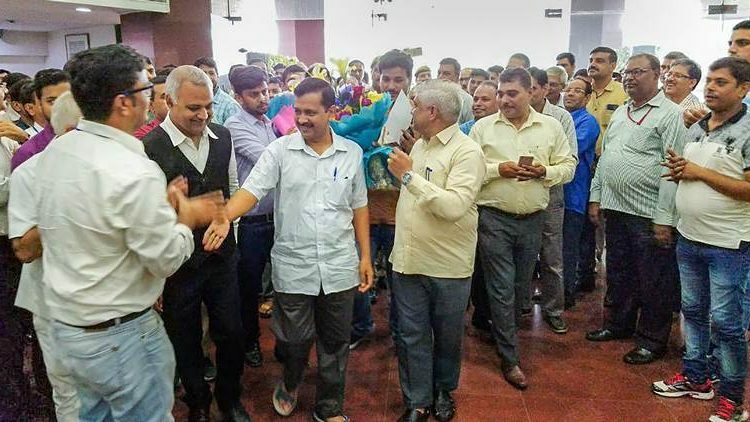 The judgment of the constitutional bench has been greeted with general approval by all political parties and with great euphoria by the Aam Admi Party (AAP). What emanates from three separate judgments delivered by the Chief Justice of the Supreme Court and his two brother judges is, first, a veritable history of the administration of Delhi. The labyrinthine route that was traversed over several decades of administering the Capital has been captured in copious detail. It is hoped that it would bring some sobriety into the grandstanding by a host of actors. The Supreme Court’s Wednesday verdict has made three very important deviations from the Delhi High Court judgment of August 2016. It has dispelled the idea that the elected government has to wait to implement its decisions until the lieutenant governor (LG) acquiesces. More specifically, the advice given by the council of ministers is binding on the LG. But only as long as the LG does not exercise his constitutional power to differ and refer the matter to the President for a decision. Although it has been emphasised that this power is not to be exercised mechanically, anything that has sensitivity or can cast a financial burden which is beyond the government’s capacity or cause political problems with the Centre or other states will fall in this area. This actually covers a lot of area. What does all this mean for Delhi’s citizens? First, as long as every decision has been taken within the ambit of the Transaction of Business Rules 1993 ,which mandates informing the LG of decisions taken by the council of ministers or even by an individual minister, implementation of decisions can start without awaiting approvals. But the Rules also have two important sub-chapters which refer to examination and concurrence by the finance and the law departments. This means a host of proposals can be called to question. Just a note of dissent given by the departmental secretary will give a handle to the LG to differ and withhold further action. That there ought to be discussion, dialogue and a genuine effort to solve problems is inbuilt in the rules, and has been reiterated strongly by the three judgments. For example, embargoes on vehicles converging on Delhi’s roads or placing restrictions on hospitals or educational institutions by the council of ministers would have implications for the governance of the Capital — it belongs to the whole country. So, restrictions cannot be imposed without the LG having had an opportunity to discuss the pros and cons and return the matter for reconsideration. In Delhi’s case, the LG can differ, ask for reconsideration and make a reference to the Centre. Till a decision comes, the LG’s orders would prevail. So, it is not all plain sailing. Under the Transaction of Business Rules, consultation with the finance and law departments is mandatory and the chief secretary — the secretary of the cabinet — has to ensure that the cabinet note has followed the process very elaborately spelt out in the 1993 rules. These have been alluded to by the apex court at numerous places in the judgments. In other words, getting advisers and consultants to prepare cabinet notes and clearing them with a simple nod will not work. Haranguing officers and imputing motives to them will not result in either compliance or implementation. At the end of the day, the proof of the pudding will be in the delivery of promised services — not in a display of strongman tactics to impress constituencies. On the face of it, it may seem as though the Delhi government will now have the authority to make laws on all subjects, excluding those which fall directly under the LG’s authority. But that is actually not so. For instance, the Jan Lokpal Bill and the mohalla committee strategy. Both have been points of confrontation, resulting even in the resignation of the chief minister in his first term. Nothing has changed with all the judgments of the Supreme Court. The apex court has reiterated that any law which is repugnant to a law made by Parliament cannot be passed by the legislative assembly. And indeed these bills or concepts would even now run into repugnancy issues and will be negated as Parliament’s laws do not envisage such deviations being made to the existing central acts. If the spirit of the judgments is to be read, all postings and transfers of officers should return to as it was in the Sheila Dikshit era, with only the postings of principal secretaries needing the acquiescence of the LG because that makes for better management with the Centre which controls the cadre. However the selection and posting of the chief secretary, the home secretary and secretary lands needs the specific approval of the LG as per the Transaction of Business Rules, which have now been accorded a new sanctity. The judges have explained that the administrator as per rules has to be apprised of each decision taken by a minister or council of ministers and difference of opinion must meet the standards of constitutional trust and morality, the principle of collaborative federalism and constitutional balance. “The element of trust is an imperative between constitutional functionaries” so that their governments “can work in accordance with constitutional norms”. Last but not least it is curtains for the idea of statehood. As long as Delhi is the national capital, it is everyone’s capital and the voice of non-Delhi citizens have to be heard through the central government acting on the decisions of Parliament. AAP’s hopes were misplaced and should not be resurrected afresh. Has PM Nawaz Sharif become the Bahadur Shah Zafar of Pakistan? Will Varun Gandhi finally make his Ghar Wapsi to Congress? Is Egypt bombing the right militants in Libya?